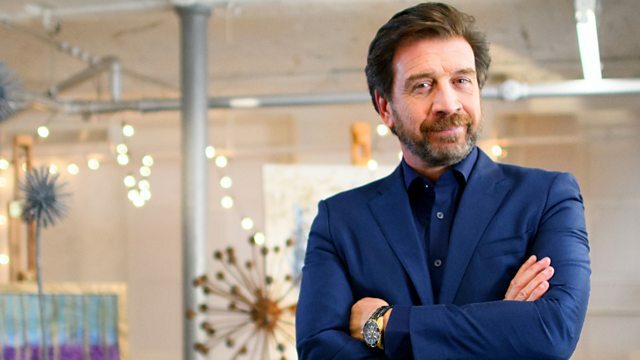 Nick Knowles challenges three talented artists to create beautiful artwork for people they've never met. Our arty trio must try to work out the buyer’s style and taste by snooping around their home, but when the two sides finally do meet, who will win the coveted commission? Today’s artists travel to Lancashire to a renovated worker’s cottage. The mystery buyer wants a gift for his wife and has a budget of £200, but will it be a wood sculptor, painter or ceramicist who makes the sale?